What physical trait does every celebrity (perhaps with the exception of Steve Buscemi) share? A beautiful, white smile. As people who spend plenty of time under public scrutiny, celebrities are aware that a beautiful smile can make or break a photograph or their personal image. Thankfully, in this day and age, top-notch dental care is not something reserved for the rich and the famous. With an embrace of time-tested truths and (sometimes) cosmetic procedures, anyone can have their own celebrity smile. The longer you allow food to reside near your teeth, the more time it spends wearing away at your enamel. Brush directly after meals in order to reduce this decay. Specifically, beware of highly-processed crackers and snacks. These processed carbs are the perfect food for bacteria, and their physical structure allows for them to get stuck in the crevices of your mouth for long periods of time. An effective mouth rinse can also do wonders in removing harmful bacteria and keeping your gums healthy. Upset with your dental hygienist for making your gums bleed? Sorry to tell you, but it’s probably your fault. If you neglect to clean the spaces between your teeth, you are leaving 40% of your tooth surfaces dirty! This leaves your gums open to inflammation and even disease – which you may have if you find your gums bleeding either during routine brushing or at the dentist’s office for your routine check-up. There are many proven options that exist for removing plaque, such as our Stim-U-Dent plaque removers, so find one that works for you and make it a part of your oral hygiene routine. Coffee and cigarettes are common culprits of a tainted smile, since people who use them often consume them habitually. Both can stain teeth, and studies actually show that coffee-stained teeth were resistant to improvement from use of toothpaste and tooth bleaching. Besides being bad for your teeth and gums, there are obviously many other health risks associated with smoking as well as caffeine intake, so for better overall health, don’t smoke and reduce or eliminate your coffee intake. Sometimes, proper hygiene and over-the-counter whitening aren’t enough to get your own celebrity smile. In these cases, you might want to consider cosmetic dentistry. There are various procedures available, depending upon your needs. For example, if you’re unhappy with the “gummy-ness” of your smile, you might want to consider gum contouring. Or if you have a chip or gap in your tooth, a simple bonding can do the trick. For more extreme cases, porcelain veneers may be the best bet. While these procedures were once reserved for only the wealthiest folk, they have become surprisingly affordable – especially if you are fortunate enough to have dental coverage. As you can see, there are various options available for producing a pearly-white smile on even the most modest budget. There’s nothing standing in the way of good oral health, and the aesthetic beauty that comes with it. 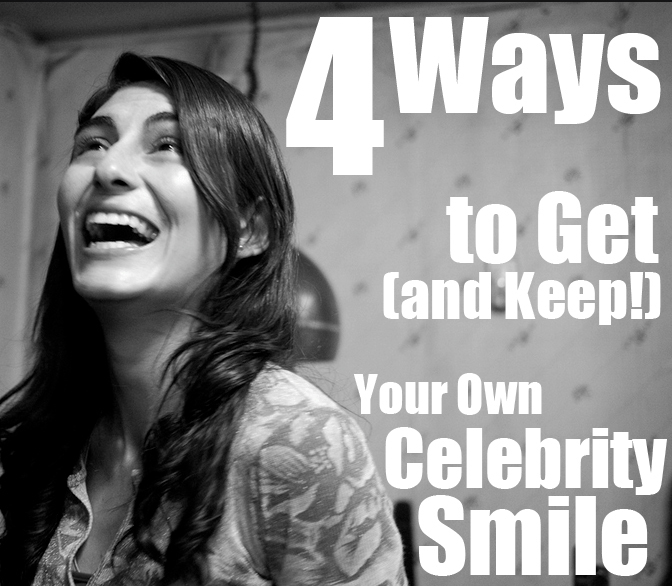 Follow these guidelines so you can be proud of every smile.